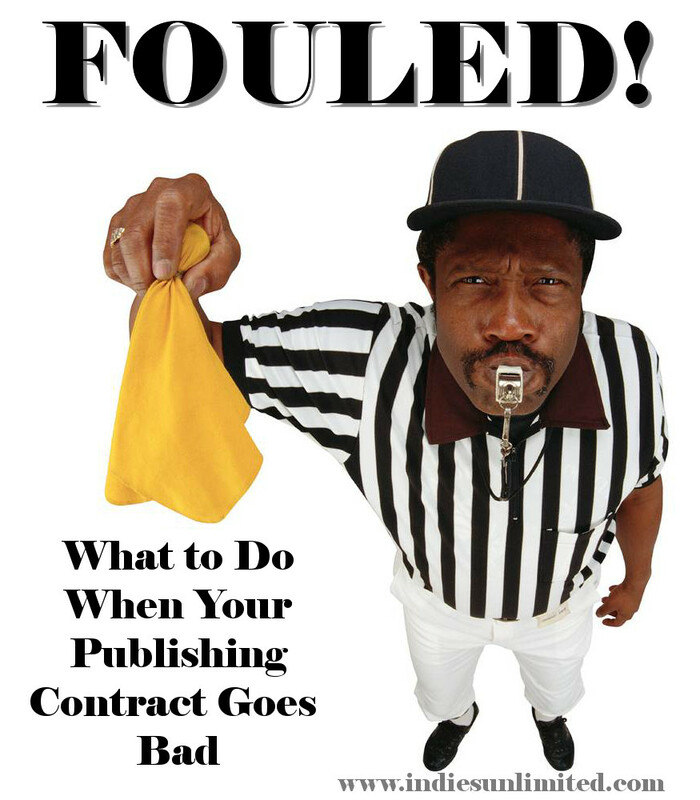 In keeping with our theme for March, “What To Do When Your Publisher Scams You”, let me share my experience with iUniverse. I have singled out iUniverse because that is where my story happened. iUniverse is a subsidiary of AuthorSolutions, an umbrella company with many others under its wing, all equally out to fleece unwitting authors. In 2008 I did what I thought was good research on the internet to see how self-publishers, or assisted self-publishers as some call themselves, were rated. I also checked out which ones offered the services I felt I needed at the time, and what the costs would be for those services. I did my homework – I thought. At the time I had no contact with other writers or authors and did not know where to find them. I think many new writers finds themselves in similar positions. iUniverse stood out as the best option for me. I contacted them and opted for their top package, at a cost of roughly $1100.00. The package included two editorial reviews (also known as content edits) and the opportunity to earn their ‘Editors’ Choice Award’. I wanted it because I believed the prestige of that badge would increase my visibility and my sales. The service package also included the support of a personal assistant with whom I could be in constant touch by email. Things started out swimmingly. My assistant proved very helpful – the first one. But by the time my book was published in 2009 I had gone through three, the other two successively less helpful. My first editorial review suggested a number of ways to improve my book. This was the most important element to me because I felt I needed some guidance due to my lack of writing experience. During my first re-write I cut 30%, re-ordered some chapters, edited it myself four times and had my spouse edit it as well. Then I re-submitted it. I was pleased with the second editorial review but felt I wanted another kick at the can so I purchased a third review, requesting a different set of eyes this time to give me a broader opinion. A rep then told me how close I was to getting that coveted Editor’s Choice award but suggested my book needed a copy edit and a proof-read to bring it up to snuff. I paid an additional $2000.00 (roughly) for those two services. This was a huge sacrifice for us as it did not fit our budget at all. Even then they did not automatically offer me the award. But, after some back and forth e-mails, I finally received it. I was elated, thinking I was now on the way to fame and fortune – or at least some decent sales. After all, only 5% of their authors got the ‘Editor’s Choice’ seal on their covers. I counted, so I knew. My contract also included a cover design. Their site had led me to believe the cover would be custom created by an artist in accordance with my suggestions. When I filled in the required form with my idea for the cover I was told it was too busy. They said they use stock photos that a graphic designer then manipulates into a cover. When I challenged them, citing their own website, they hooked me up with their “head graphic designer”. I must admit she was good. I got a cover I truly liked, but still it was not what they advertised. When my books arrived (a 350 book bulk shipment, most of which I had to pay for totalling $1700.00), I was thrilled. I had my book in my hands – mine. They looked beautiful. My hopes were high. A marketing package was part of my original contract. It did not arrive and I couldn’t find it anywhere on their website. Eventually they convinced me to pay for a press release. It was appalling. I rewrote it myself and told them to use my version. They also sold me “a list of contacts for newspapers and media”, concentrating, according to them, on the three cities of my choice close to where I lived. I chose Toronto, Kitchener-Waterloo and Guelph. The list I received had almost none of the contacts I expected for the newspapers I had selected. It covered over 100 remote places as far away as the Yukon and North West Territories, including publications in places I had never heard of. On top of that, the names on the list were out of date or incorrect. Complaints got me nowhere. They stonewalled me. I learned later that they outsource their marketing. No quality control there at all. I understand that is still the case. All sales came through my personal efforts. Literally none were the result of the award or via browsers in their bookstore. And I had to push to be listed at Amazon.ca in spite of iUniverse’s promise at the outset to do so. Then, to my horror, readers pointed out two inconsistencies in the plot the editors had not caught. Since then many other editing errors have come to my attention. Was I steamed? You bet! With four months left in my original three year contract I sent iUniverse a letter stating I was taking back my rights due to their failure to live up to their obligations. I asked them to take my book down from their site. They did, but it took some more persuasion. I revised the manuscript, got a new professional cover and self-published on Createspace, Amazon’s KDP and Smashwords. I have not heard from iUniverse since. Perhaps they did not challenge me on breaking my contract because they were not making money on sales and they had already bled me dry. I will never recoup the bulk of what I paid them. The moral of the story is, doing your due diligence may not be enough to help find a trustworthy, quality ‘self-publisher’. Word of mouth is still best, preferably from several established Indie authors who have used these companies and been pleased with them. Some Facebook groups and dedicated on-line sites are also available to help writers avoid these traps. I recommend Indies Unlimited, The Book Designer, David Gaughran, and ALLi for starters. There are others as well. Check out any company you are considering giving your business to on Preditors and Editors, or Writer Beware or look up complaints about them on the internet. Better yet, employ a recommended private editor and publish your book for free on either CreateSpace and Kindle or Smashwords. There are other venues as well. Make sure you have a great cover and that your formatting is correct. Your end product will be fine and so will your reputation. Let me say that there are legitimate “self-publishing” and “assisted self-publishing” companies who deliver what they promise with integrity and quality. But let me also emphasize that such companies are few and far between and, to many of us, especially to new writers, indistinguishable in their promises from the scammers. Without some help from those who know how to find out the uninitiated may not know which is which. A true cautionary tale, Yvonne. Another case of the publisher holding out a carrot (the award), but suggesting you need this service and that in order to achieve it. They certainly know how to play us. I’m glad my experience with them was before they were taken over by Author Solutions. I paid them about $300 to publish my first two books which had gone out of print earlier. I bought no extra services and was happy enough with the basics. At the time, this was one of the few self-publishing avenues and it served its purpose. But never again. Thank you, Melissa. What burns me is the attitude that “due diligence” is all you need to avoid these scammers. I see a lot of that lately. Thank you for sharing your experience Yvonne. You will save many a new writer from this scalping. I guess I got lucky not having the available funds, or I probably would have gotten sucked in too. When it is all new, there is so much anticipation and excitement. It is after the initial yippee that reality hist fast and furious. Thanks Aron. I hope so. That’s the whole thrust behind this series. A cautionary tale indeed, Yvonne. It seems that most of us have one to tell, but it’s nice to see that we have come through the mill and are all here to tell about it. Thanks for sharing, Yvonne. Lets hope that all those newbies out there heed the warnings. You’re welcome. I’ll feel vindicated if even one person is saved by my story. Great post Yvonne! Definitely words of wisdom to follow! Thanks, Patrick. Stick around. There’s more to come. Yvonne, your “experience” is perhaps the most horrifying of all! Nearly $5000 spent, and for what? I’m sorry that this happened to you. If it’s any consolation, at least you know you’ve grown as a writer and learned as an author. Thanks for disclosing the “awful truth.” Will share everywhere. Thanks, Linda. It was a learning experience for sure, though I’m not certain it was worth five grand. Yvonne, this could be my story except I didn’t give them that much money because I really didn’t have it. I turned down a lot of their suggestions, not because I knew better but because I didn’t have the money. I was really excited when I held my book in my hands. I haven’t pulled mine down from them but I will when I get the money to get them re-formatted and edited (they missed some of mine, too). I have fights with them a lot and I have just given up trying to get answers. They have changed the way and amount of time they report sales and I know they don’t report all. STAY AWAY FROM iUniverse! Thanks, Sandra. I hope you do find some money for the editing and formatting. We can recommend people for both. Formatting really should not cost much. PM me if you want a name. Not only is it the scam you paid for but they price the books so high no one will buy them. Yvonne, thank you for sharing your “experience”. A sobering account for anyone to read. I am sure you will have saved more than one with this post! Thank you, Marrtyn, I hope you’re right. -shiver- There, but for great good fortune, go all of us. I’m just so grateful I followed the breadcrumb trail from LinkedIn to IU. Almost every bit of self-defense I know comes from articles I’ve read here on IU. I don’t know if this was the same for you, but when I first began researching publishing options, I assumed that the online businesses would [somehow] be as regulated as the real world ones. How I wasn’t fleeced I do not know. So true, AC. And I’m glad you dodged that bullet. And thanks for the plug for IU. We aim to please. Oh, sigh…I’ve been through similar. I should have had warning bells when they described my novel as ‘nice little story’. It was historic mental health! So contract #1 arrived. All the nice big words in the proper places. I signed and rushed it back. Contract #2 contained a tighter grip on things (but they don’t apply to you, so just sign and return this contract. What…? I signed.) 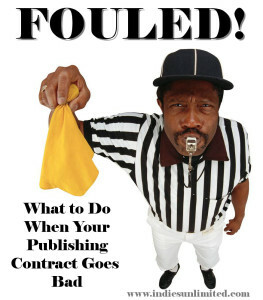 Contract #3 (within 3 months) trebled my royalties if I returned it signed, immediately. And then (only then) would they start to publicise my work. I paused. I combed and combed through it with my husband panting at my ear to can it all! But I found the tricky bit; I was legally bound to promote all of their authors on all my promo sites right next to any I did of mine. Historic mental health, right, sits very cosily alongside cult/erotica/witchcraft and shape shifter? I can only imagine the other authors felt the same way. I found a teeny out clause on the previous contract I had signed, and applied it only once we had removed all our passwords and ‘stuff’ from their site. When I awoke the next morning, there was not a sign of me or my work. Susan, that’s a worse nightmare than mine. I am so glad you found that teeny out clause. Yvonne, my husband published two books with iUniverse and I published one with another company (I can’t remember the name!) before we discovered Facebook author groups and self-publishing. We are still kicking ourselves for wasting so much money and not getting what we wanted. We know exactly where you’re coming from. Thanks for sharing Greta. For every one of us that talks I’m sure there are many more who don’t. And even more who are still with these guys and don’t know better. I was burned badly by iUniverse too, Yvonne, though not quite as badly as you. I just didn’t have the funds to be really badly burned. But your post brings back memories – bad ones. My relationship with them ended on a very sour note. They’d charged me $400 for re-formatting that they never did. Luckily I’d paid by credit card so I was able to stop the charges going through. During the formatting battle, my bank required a report from an independent designer. The independent designer found that the original formatting of the book was a mess. Thanks for sharing your experience with this awful company. The more writers that are warned, the better. Thank you for sharing your story, J.P. I’m glad your experience was less costly. You give us salutory lessons so many of us can relate to, Yvonne. It’s good you found a professional editor who deals fairly and honestly, and helps you produce top quality books, as you have certainly got it right now. I’m sure many of us can look back at the mistakes we made in the early days and wish we had found sites and writing communities like this earlier on. What a lot of heartache ( and money) we could have saved ourselves. I have learned from authors all round the world since I started, but still made mistakes. Fortunately not too many of them were as painful or costly as yours. Thank you, Ian. You lend credence to the claim that all of us make mistakes. This is a learning curve. And even intelligent, cautious people can be taken in by expert scammers. Yvonne, I’m so sorry this happened to you. Experiences like yours make me glad that we’re doing this series. And I’m happy you got your book back in the end. I am so grateful for all of you wonderful Indie authors, and for sharing your stories of hell. Thanks to connecting with many of you, especially Melissa Bowersock, I was able to publish my book of short stories myself and avoid such horrible experiences. Thanks, Lorraine. It’s history, now. I’m glad I learned and that my story will help others. My heart goes out to you, Yvonne, for the terrible experience you had. Thank you for your bravery in sharing it so other writers can learn from your situation. Thank you, Ekta. I’m happy to share . Learning from each others’ mistakes helps everyone. Yvonne, Thank you for caring and for sharing your experience. I truly admire your honesty. You are a hero!